70 years is a long time… but the words remain true…a date which will live in infamy. 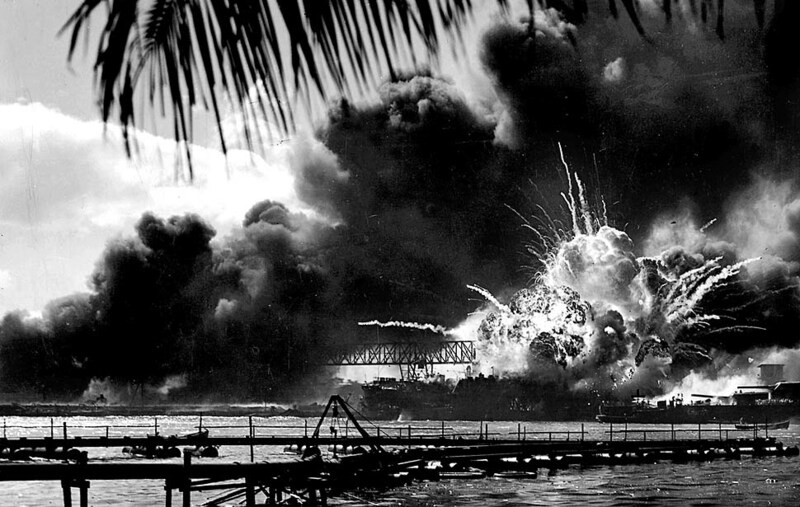 After the Japanese attacks Pearl Harbor on Dec. 7, 1941… our president had this to say. Mr. Vice President, Mr. Speaker, members of the Senate and the House of Representatives: Yesterday, Dec. 7th, 1941 — a date which will live in infamy — the United States of America was suddenly and deliberately attacked by naval and air forces of the Empire of Japan. Within an hour, Congress passed a declaration of war against Japan, bringing the United States into World War II. On Dec. 11, Germany and Italy declared war on the United States. Crazy times, can’t even imagine what that must’ve been like. Prayers to the families of the fallen. This entry was posted in News and tagged a date which will live in infamy, Franklin Delano Roosevelt, pearl harbor. Bookmark the permalink.